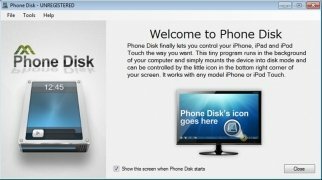 If you have an Apple mobile device, like an iPhone, iPad or iPod touch, you would surely like to have the possibility to use it as a hard drive, to be able to explore its contents from Windows or to comfortably store your files. There is a way of doing so: Phone Disk. It's a tool that offers you the possibility to use an iPhone as a storage device. 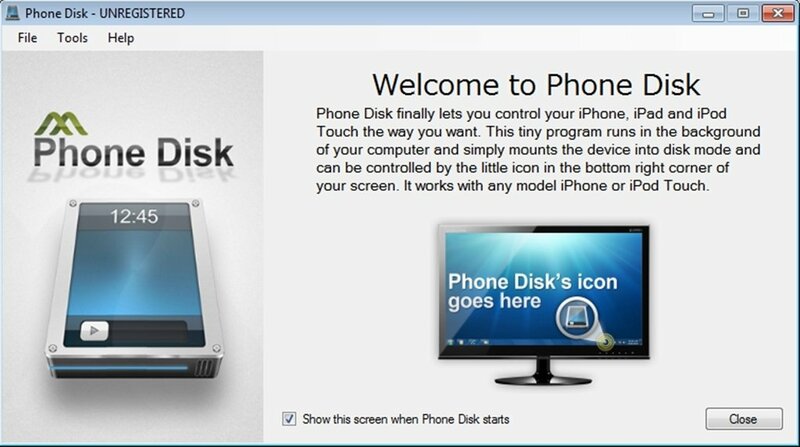 With Phone Disk you'll be able to store all the files that you want on your mobile device (iPhone, iPad or iPod touch). 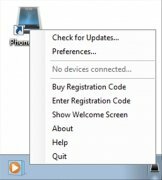 You only have to install the application, and when you connect the device, Phone Disk will detect it and add a new drive corresponding to the device to the Windows Explorer. Now your iPhone will work as an additional drive. 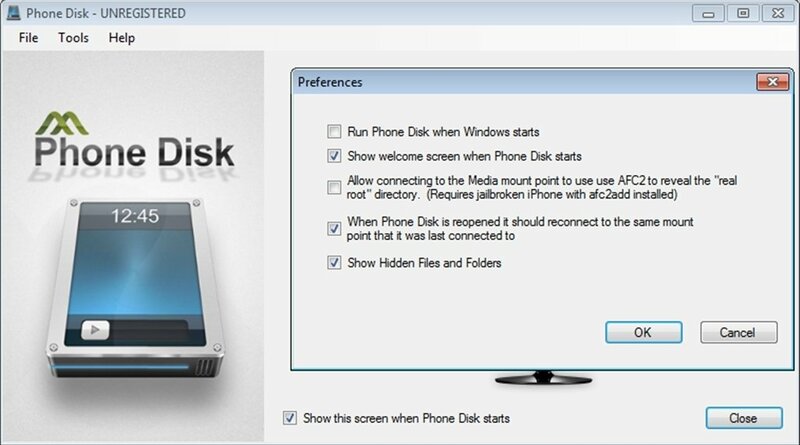 A real disk mode for iPhone, iPad and iTouch. 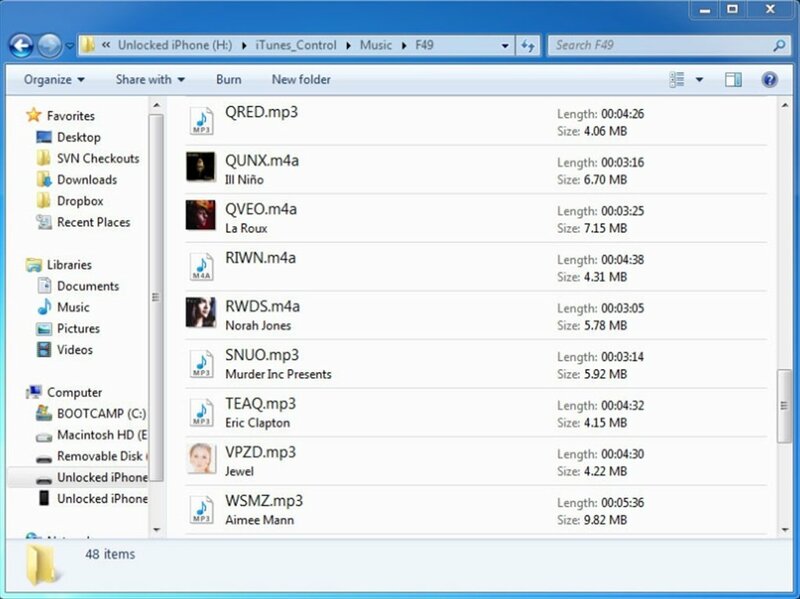 Allows you to preview, open, edit and save any image, song or document which is on the device, without having to resort to iTunes. Offers you the possibility to mount several devices simultaneously. Easily view and manage the images you have stored on the device using Windows Explorer. 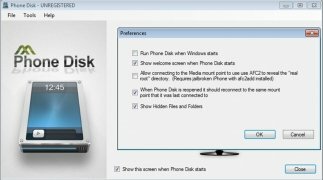 Download Phone Disk and you won't have to hack your iPhone to use it as a hard drive on Windows. Requires that iTunes 10 or above is installed. The trial version only allows you to store a maximum of 100 MB on the device. Works with iPhone, iPad and iPod touch.